Funeral insurance is a type of insurance policy that pays out a lump sum upon death to cover funeral costs. While funeral insurance sounds like a secure investment and a secure way to financially plan for your funeral, it can actually be a risky product. Policy holders can end up paying more in premiums than the cost of the funeral itself, and some end up forfeiting their entire policy and losing everything. Unlike prepaid funerals and funeral bonds, which are generally safer ways to plan for your funeral, individual funeral insurance policies must be scrutinised as there is a wide range of different options available to consumers. 1. What is Funeral Insurance? Funeral insurance is a type of life insurance product that is sold directly to consumers. While the sum insured is generally much lower than a life insurance policy (as it is designed to only cover the cost of the funeral rather than providing for dependants), the cost of many funeral insurance plans can end up being quite high over their lifetime due to rising premiums. Immediate cover (with exclusions) – Individuals are covered for the full insured amount from day one, with the exception that only accidental death is covered in the first 1-2 years of the policy. This means, for example, if you pass away after 3 years you might receive a payout that is greater than the amount of the premiums you have paid up until that point. However, in most cases, you will end up paying more in premiums than the final benefit after approximately 6 years. Smaller contributions – Compared to a prepaid funeral (which requires upfront payment of the funeral cost in a lump sum or instalments over a few years), funeral insurance premiums require a much smaller periodic payment. Promotes saving – Funeral insurance policies promote a habit of contributing a regular sum towards funeral expenses. However, it could be argued that a funeral bond achieves the same result without the risk of losing the benefit if a payment is missed. Increasing premiums – Most premiums increase over time. The issue with this is that it can make funeral insurance seem affordable early on, but over time becomes much more difficult to keep up with (particularly when you are no longer working and your savings are dwindling). On average, premiums will increase 400% from age 50 to age 80. Premiums paid are likely to be more than the insured amount – Assuming you don’t pass away in the next 6 years, it’s likely that you will end up paying more in premiums over the life of the policy than you will be paid out upon death. According to a study by Rice Warner, if you took out a policy when you were 60 and only passed away when you were 90, you could end up paying $85,099 in premiums in exchange for a final payout of $6,000. Policy forfeited for missed payments – Under many funeral insurance policies, if you can no longer afford to pay premiums, you forfeit the policy and lose all premiums paid up until that point. 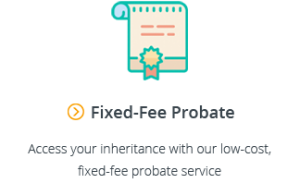 Payout is not immediate – In some circumstances it can take some time before the insured amount is paid to your estate, meaning that a family member may need to cover the cost of the funeral and be reimbursed by the estate in the following months. Depending on your family’s financial situation, this may or may not be feasible. Only accidental death is covered for the first 1-2 years – As most policies exclude anything except accidental death in the first 1-2 years, if you pass away within that period you may or may not be covered, depending on the circumstances of your death. Sarah takes out a funeral insurance policy at 57, initially costing her a relatively small sum of $40/month. 15 years later, at age 72, Sarah is no longer working, has used up most of her savings and relies on her pension from week to week. After paying $12,000 in premiums, her monthly premium has increased to $80/month which she can no longer afford. Following a missed payment, Jennifer’s policy is cancelled and she loses the $12,000 she had contributed under her funeral insurance policy over the past 15 years. According to an ASIC investigation, 80% of all funeral insurance policies are cancelled due to inability or unwillingness to continue paying premiums. 5. 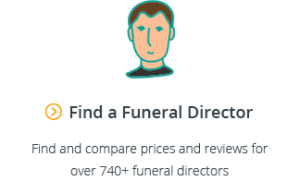 How Much Does Funeral Insurance Cost? The age at which you take out a funeral insurance policy makes a big difference to the cost of your funeral insurance. As you can see in the table below, taking out a funeral insurance policy at age 72 means that the premium you pay will be nearly 4 times more than if you had taken the policy out age 52. However, assuming you live to 80, taking the policy out later would actually result in you paying less in overall premiums over the life of the policy. Important Note: The prices above are based on a $10,000 funeral insurance policy. This means that in each of the scenarios, you would end up paying many thousands more in funeral insurance premiums than the benefit received upon death. Also keep in mind that these calculations are only based on an 80 year life expectancy. Should you live longer than that, the total cost of premiums paid would continue to rise. On average, women pay less than men for funeral insurance. This is primarily due to the fact that women have a longer life expectancy of 84 years, compared to 80 years for men. It’s also worth noting that the difference in price grows over time, starting out at around $3/mth at age 52, growing to a difference of around $13/mth at age 72. Whether or not you are a smoker has a significant impact on the cost of funeral insurance. On average, a smoker will pay $10/mth more than a non-smoker for funeral insurance. As with the gender price difference, this price difference grows over time, starting at around $7/mth at age 52, growing to a difference of around $16/mth at age 72. The funeral insurance products offered by the companies above, differ quite significantly in relation to their terms and features. When purchasing funeral insurance, it is critical that you read and fully understand the product disclosure statement before proceeding. Even with the help of the funeral insurance comparison websites below, finding the right product takes time. There are a number of websites which are designed to help you sort through and compare different funeral insurance options in Australia. Level premiums are calculated based on your age when you take out the funeral insurance policy and increase only at the rate of inflation. Compared to “stepped premiums” which can start off lower than level premiums, but can rise to be 2 or 3 times more expensive than the initial premium over time, level premiums provide consumers with a greater understanding of the monthly commitment required to maintain the insurance policy. Fine Print: Even if a funeral insurance policy offers level premiums, be sure to read what this actually means in the product disclosure statement. Under some insurance policies, it means that premiums increase a nominal 5% year-on-year, even though the inflation rate may only actually be much lower for the year (~1.5%). While a 5% annual increase doesn’t sound like much, compounded over 30 years it can add up quite significantly over time. An age cap means that once you reach a certain age, you no longer need to continue paying premiums (usually at 90 years old). While this limits the amount of premiums you will pay, you will still likely pay more in premiums than the insured sum. For example, if you have an insurance policy with an age cap and you turn 90, you will no longer to be required to pay premiums. However, by that stage, you may have already paid $25,000 in premiums for a final payout of only $10,000. A premium cap means that once you pay a certain amount of premiums, you no longer need to continue paying premiums. Ideally, you should look for a funeral insurance policy where the premium cap is set at the amount of the insured sum. For example, if you have an insurance policy with a $10,000 premium cap and you pay this amount by age 65, then there’s no more to pay after that point. Assuming your insured sum is also $10,000 then you will never end up paying more than your final benefit. However, it should be noted that even in this scenario, if you miss a payment before reaching $10,000, then you will still forfeit all premiums paid until that point. A payout guarantee means that if over the course of your funeral insurance policy you end up paying more than the insured sum, then the excess will be repaid to you upon death. For example, if you pass away at age 90 after paying $30,000 in premiums, upon death you will receive a $10,000 payout and the excess $20,000 will also be repaid to your estate. Again, in this scenario, if you miss a payment before passing away, you will forfeit all premiums paid until that point. When comparing funeral insurance policies, you should always examine the grace period for missed payments (usually around 1-3 months). If you can pay the outstanding premiums before the grace period expires you will not forfeit the policy. However, most policies provide that while any premiums are outstanding, you will only be covered for accidental death. If you are planning on travelling overseas or even moving overseas, check your policy to confirm that you are covered if death occurs overseas. While there are some funeral insurance policies available in the market with features that minimise the risks for consumers, there are still some less risky alternatives you should consider when planning for your funeral. In our view, prepaid funerals are one of the best way to plan financially for your funeral. 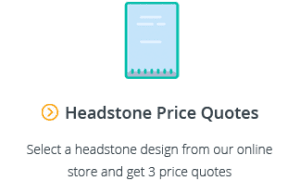 While they require you to pay for the cost of the funeral up front (or in instalments over a few years), they effectively allow you to lock in your desired funeral at today’s prices. That means regardless of when you pass away, the entire cost of your funeral will be covered. Another advantage of prepaid funerals is that it ensures that you get the funeral you want, and alleviates the emotional pressure from your family of having to plan your funeral at a difficult time. When it comes to funeral planning on short notice, many families find it very stressful to guess at what their loved one would have wanted. 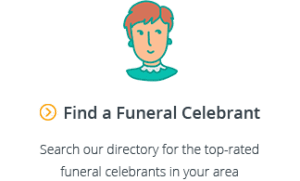 For more information on the best way to plan for your funeral, see our complete Guide to Prepaid Funerals in Australia. Funeral bonds are another safe way for you to plan for the cost of your funeral. Like funeral insurance, they allow you to make smaller contributions (usually around $50/mth), however, unlike funeral insurance, if you miss a payment you do not forfeit all contributions you have made until that point in time. Funeral bonds are an appropriate option for those who want to plan for their funeral but may not feel comfortable with working out all the details of their own funeral (as is required for a prepaid funeral). The key drawback to a funeral bond is that, whereas a prepaid funeral is guaranteed to cover all funeral costs when the time comes, your funeral bond may not be enough to cover all costs, depending on how long you have been contributing to your funeral bond, how well it performs, and how much funeral costs increase over time. For more information about funeral bonds, see our complete Guide to Funeral Bonds in Australia. 10. Is Funeral Insurance Worth it? Whether funeral insurance is the right option for you really depends on your circumstances and the exact funeral insurance product you are looking at. Given the alternatives for Australians seeking to plan for their funerals, it’s worth exploring when funeral insurance may be worth it. Let’s first recap some of the key facts. While some features (such as premium caps and payout guarantees) can help alleviate the risk of paying more than your final benefit, under all insurance policies, if you become unable to pay the premium, you will forfeit the policy and lose everything you have contributed up until that point. If you are considering funeral insurance, you must be 100% certain that you will always be able to cover the cost of your premiums until you pass away, factoring in inflation and price rises over time. The main advantage of funeral insurance is that it provides you with immediate cover (with exclusions), with the chance that if you pass away within 6 years of taking out the policy, you may receive a greater payout than the premiums paid until that point. At the end of the day, funeral insurance is a risk product. In order for funeral insurance companies to be profitable, they must take in significantly more money in premiums than they pay out in benefits. Sadly, this means that more often than not, people incorrectly estimate their ability to keep up with premiums as they age and lose their policies. Can I get funeral insurance if I am 80+? Most funeral insurance policies are only available to people 79 years or younger. However, there are some insurers who insure those who are over 80 years of age. How much funeral cover should I get? It depends on how much you expect you will need to cover the cost of your funeral. For guidance, you can refer to our Guide to Funeral Costs, and our articles on the average cost of a cremation and the average cost of a burial. Most funeral insurance policies allow you to insure for an amount between $3,000 to $15,000. How often do I have to pay premiums? Most funeral insurance policies allow you to choose the frequency of your premium payments – usually fortnightly, monthly or annually. If you miss a payment, policies specify a grace period during which you will be still be able to make the outstanding payment (usually 1-3 months). If you cannot pay the outstanding premium within that period, you policy is cancelled and you forfeit all money paid for the insurance cover. What are common payout exclusions? Most policies have an exclusion period for the first 1-2 years which only covers accidental death. Similarly, if your policy has a grace period for late payments, you will usually only be covered for accidental death for as long as premiums are outstanding. What is the definition of “Accidental Death”? Each policy will have a slightly different definition, but generally speaking, accidental death is death that is the result of accidental, violent and visible means (and is not self inflicted). Who receives the insurance payout upon death? It’s up to you to nominate who receives your insurance benefit and you can specify more than one person. In the event that you do not nominate a beneficiary, the insured sum will be paid to your estate. Generally, funeral insurance premiums are not tax deductible. However, there is usually no tax payable on payouts to beneficiaries or your estate. We hope you have found our guide to funeral insurance in Australia helpful. If you have any questions, feel free to email us at support@gatheredhere.com.au or leave us a message in the comments section below.